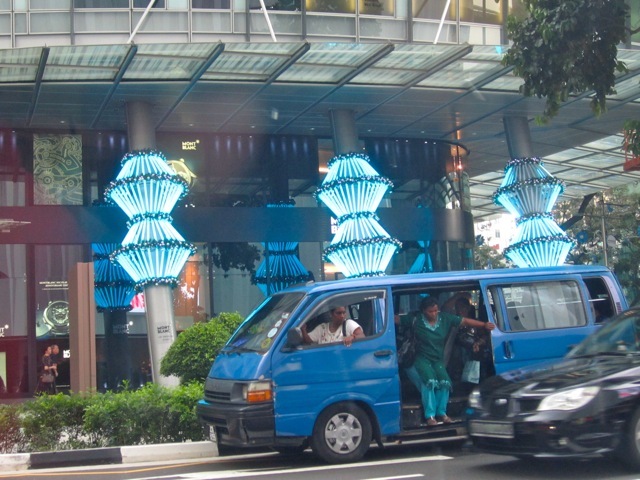 There was this changing light that provided entertainment as you’re stuck at the traffic junction. 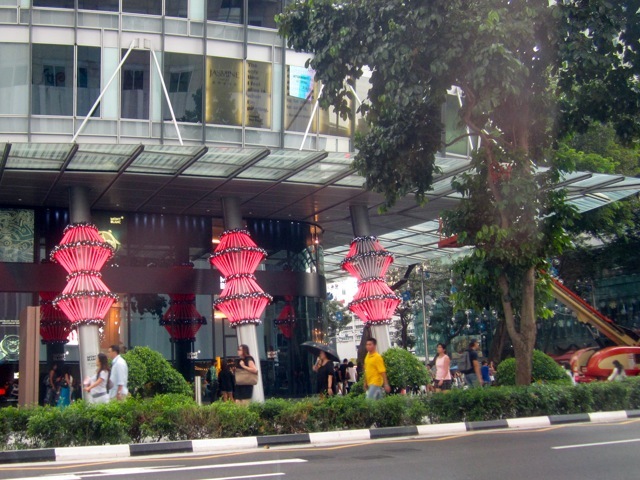 The scene is constantly changing and nothing stays still in Singapore. It’s hard to even stop a while and it seems like if you don’t keep moving, you’ll end up blocking someone. Can be quite stressful, but after a while you get used to it. I pity newly arrived tourists or residents who are not used to this constant impatient mass of people. It must be quite a culture shock. 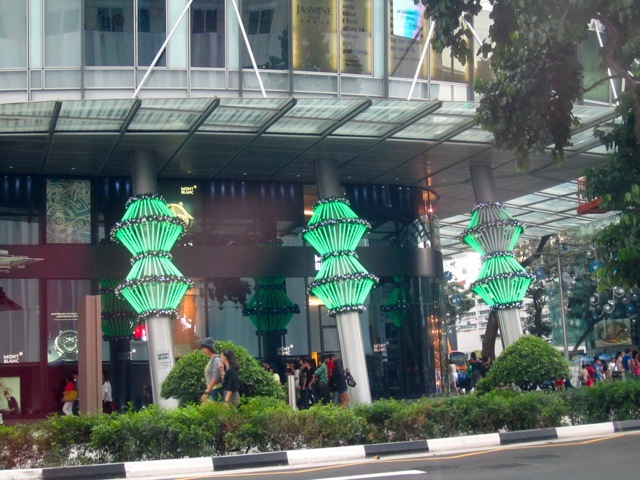 This entry was posted in Singapore Living and tagged Christmas, crowds, culture, culture shock, expats, impatient, Life, Lights, Living, Orchard Road, personal, photography, photos, shops, Singapore, tourists, travel, xmas. Bookmark the permalink. As someone who is from a city that moves 10x as fast as Singapore, it doesn’t bother me so much ;). In fact, I *still* frequently get annoyed because I find the pace of life much too slow here. but I loved it in NYC. I like our MRT better..felt safer somehow…but other than that NY was amazing….so vibrant and it felt surreal to be there. People were so friendly and customer service was at a whole other level – I was very impressed. Never experienced customer service at that level before. The other place I had great service besides the US was Australia where the people are so friendly. The only place where I felt like an alien of sorts was in London many many years ago. Yes, I do agree that S’pore’s public transportation system is better! And yes, the service is in the US in unparalleled. (Although Japan is likely a close second for me.) I miss that a lot. 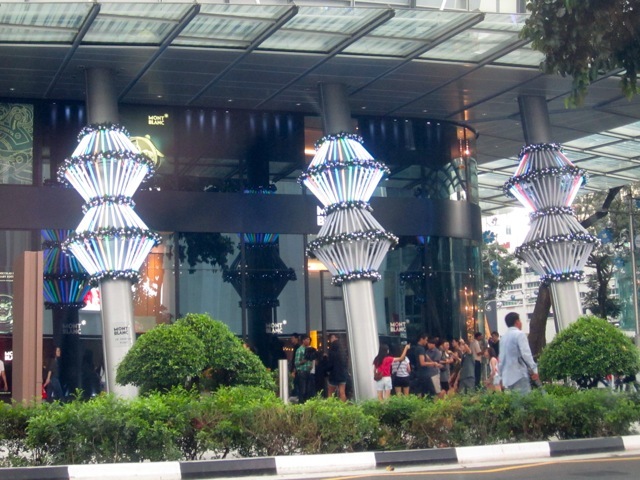 I’m from London and there are times when Singapore feels way more manic and crowded than London – Orchard Road is a good example! But then there are other times, as notabilia says, that the pace of life (or literally the walking pace!) seems slow. There are some things that I find take twice as long as they would in London, because people aren’t in so much of a rush. Sometimes I miss it, othertimes I am grateful for the breathing space and lack of stress. Yeah there is quite a lot of queuing here. The grocery store queues can be quite a nightmare on the Weekends. I think I get so used to getting bumped around in Singapore, that I only realize it when I travel abroad and it’s so nice and spacious. Pretty claustrophobic at times but thankfully there are still some secluded places to escape to like the Ann Siang Hill area.